Véronique Mathieu Houillon, MEP, was the rapporteur for LIBE – Committee on Civil Liberties, Justice and Home Affairs – for this protocol in 2013. She claimed in her recommendation A7-0359/201311 , that illicit trafficking in firearms is a high risk for the internal security of the Member States and that this Protocol can prevent and combat illicit trafficking in firearms, without having an adverse effect on legal firearms users. Four Member States have not yet signed, or participated in, the Protocol: 18 EU Member States have signed the Protocol and 16 Member States are contracting parties. She therefore strongly recommends that it be ratified with a lot of arguments. In 2011, the EC interviewed associations of users, retailers and manufacturers of firearms, as well as Ministries of the Interior and of Justice of the Member states. 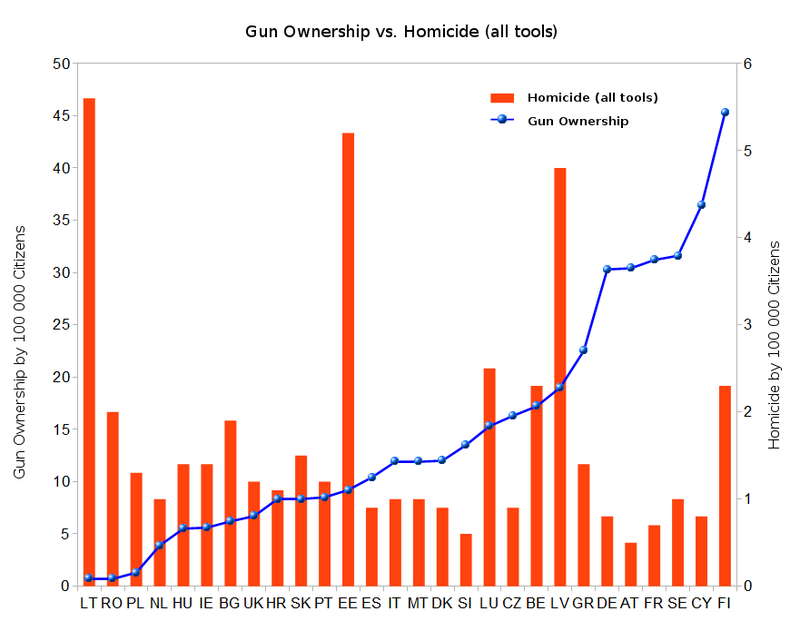 The result (ENTR questionnaire 2012) revealed that there are relatively few problems in tracing firearms for civilian use, that most Member States do not have an increase in crimes involving civilian firearms, and that some Member States think the economic sector would suffer, if further restrictions are enacted. The major groups of users desire simplification of regulations, in order to improve the functioning of the internal market. This EU Poll with 85.000 participants, including more than 3000 associations and more than 250 public authorities is ignored by Mrs. Malmström , because she did not get the results she wanted: more than 75% of the respondents did not desire further actions at EU level. In September, the EC started a Eurobarometer Survey with 25.000 participants. 96% of the respondents in this survey only knew about gun laws and gun crime from media and the entertainment industry, as they never owned a firearm. This survey produced the desired results and has been highlighted by the EC several times since.